I can safely share today’s gift for my two knitter friends since we are meeting at Panera! It’s not a knitting-related gift, but one that I was taken by this year – holiday towels. A simple, festive strip of fabric added to something that everyone needs! More to follow! Enjoy lunch with your friends! 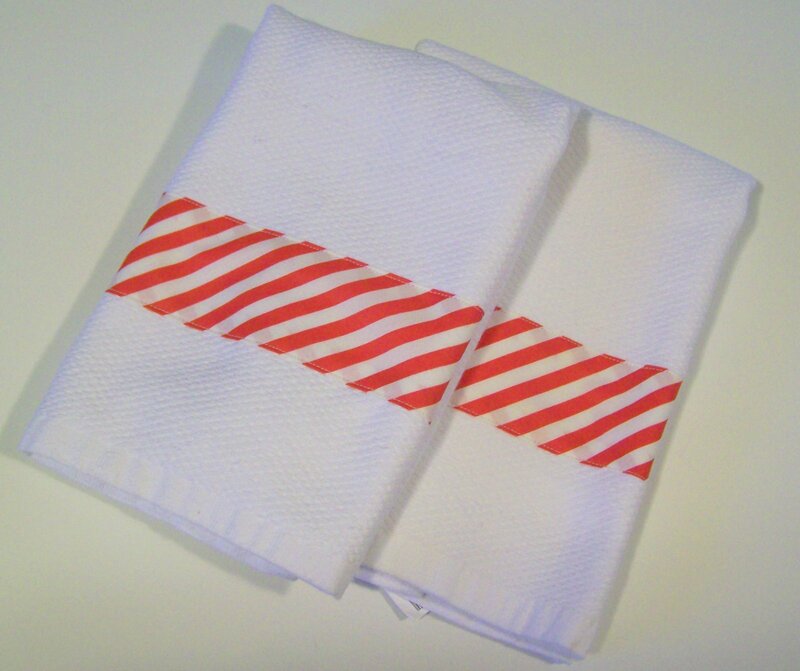 The towels are great–I love candy cane stripes for Christmas! Really cute- I love the candy cane stripe! So simple yet so darling! I’m sure they loved them.